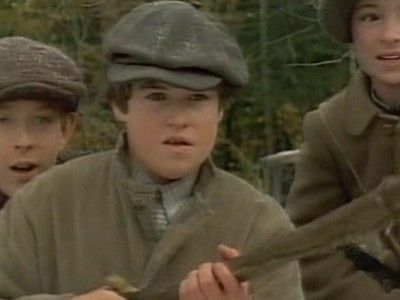 Here's where to watch every episode of Road to Avonlea season 4. Mouseover or tap an episode to see where to stream it. Click or tap the play icon to stream it on the best available service. Tug of War (aka Where There's A Will) Jan 17, 1993 Olivia is about to deliver her first child, and Jasper's family descends on them intending to aid at the birth. Their Bohemian life style clashes with the traditional life style of the King Family, causing major problems. Montgomery King Dale's entrance to the world, almost didn't happen. Jasper is the one who saves the day! Incident at Vernon River Jan 24, 1993 For his 14th birthday, Felix wants a rifle, but receives a telescope instead. He borrows his fathers rifle to go hunting, on another one of his 'get rich quick schemes', to provide venison for the White Sands Hotel. Gus hears the shot, and finds Felix bending over a wounded Digger. Arthur Pettibone, is a veterinarian student, the oldest son of Clive, who his eye on Felicity. He treats Digger, knowing he is making an impression. Gus is not pleased at Felicity's reaction to Arthur, and realizes that he has competition for her affections. 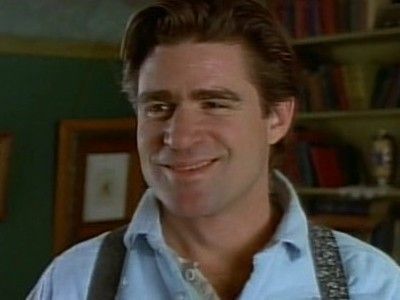 Boys Will Be Boys Jan 31, 1993 When the town decides it needs a Volunteer Fire Department, after a mishap nearly burns down the stable, the choice of chief is between Alec and Clive. It is Hetty who casts the deciding vote, for Clive! The fire department is unruly and disorganized, until Felix's science experiment goes awry, almost burning down the school and they all work together as a team to save it. Moving On (aka Sara and the Marshal) Feb 7, 1993 With the 'romance' of Felicity and Gus progressing, Sara is feeling left out. Then Zak Morgan, and his ""Wild West Show"" come to town and Sara loses her heart. Hetty and Olivia are very concerned that Sara is getting into a dangerous situation. Sara rodeo rides to impress Zak, and asks if she can join his show. Zak agrees, but when the time comes and the show leaves town Sara is left behind. 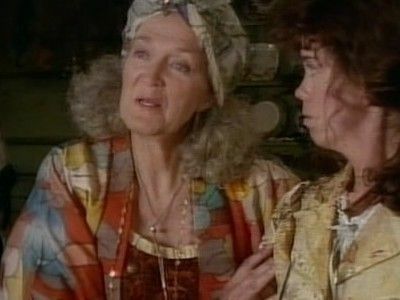 Evelyn Feb 14, 1993 Alec's childhood friend, Emmett, returns to Avonlea with a new young bride and an infant. He asks Alec for help, as his farm has done poorly and he needs to fish for food for the winter.On a shipping expedition, their ship sinks and Emmett dies. Alec feeling responsible, tries to run Emmett's farm and his own. Evelyn, the clinging widow, causes problems between Janet and Alec and sets the whole town gossiping. The Dinner (aka Felicity's Grand Design) Feb 21, 1993 Now 16, Felicity, decides that a romantic evening with Gus is what their relationship needs. She schemes to empty the house so she and Gus can dine alone. Gus has no idea that they are to dine alone. 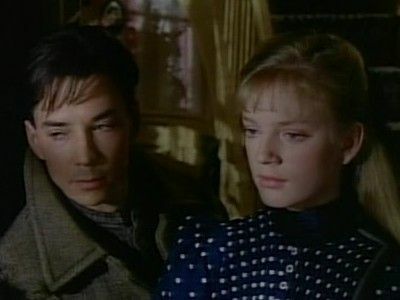 Alec and Janet return home, from dinner at the White Sands, and although the situation that the two young lovebirds are caught in is totally innocent, Gus is banished. Sara tries to help, but it only makes matters worse. Gus faces Alec, man to man, and asks for permission to ""See, Felicity, in the open, and with your blessin'"". Alec agrees. 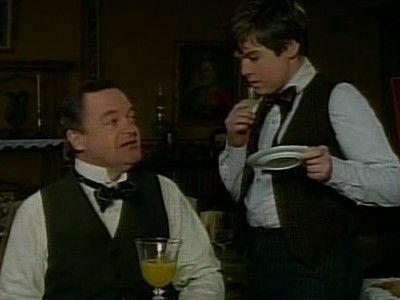 Hearts and Flowers (aka aka Servant of Two Masters) Mar 7, 1993 To make ends meet, Simon Tremayne takes Hetty as his ""silent"" partner in the hotel. Hetty thinks she can make money by holding a Valentine dance; but a health inspector almost closes the hotel down when he finds a 100 year old bird, dead, in the ice house. Arthur wants to dance with Felicity, who has agreed to go to the dance with Gus, who is being pursued by Chef Pierre's French niece, Suzette. Felicity's Perfect Beau Mar 21, 1993 This synopsis is from the back of the video case cover of Sullivan Entertainment - Road To Avonlea - Felicity's Perfect Beau:""With the attentions of both Gus Pike and Arthur Pettibone, Felicity becomes confused as one proposes marriage and the other courts her. Seeking avice on matters of the heart she returns first to Sara, then Hetty and eveutally her family. In the end she determines that she alone must decide her future."" The Disappearance Mar 28, 1993 The son of a wealthy businesswoman pays a visit to the White Sands hotel without informing his mother. At the same time an antiques dealer charms the Avonlea townspeople into letting him ""appraise"" their valuables. When he makes off with them, the wealthy scion is nowhere to be found, so it is believed that he has been kidnapped. Soon, a detective turns up to find out the whereabouts of both men, though at first only Sara knows the twisted truth about what really has happened. 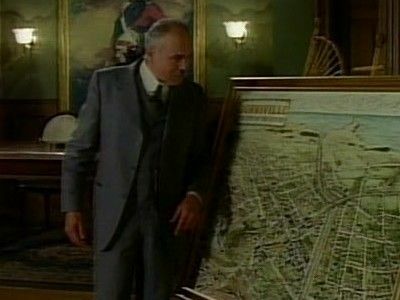 Jasper's Home Movie Apr 4, 1993 A wealthy American developer tries to modernize Avonlea and reinvent it in the style of a town he built in Pennsylvania. 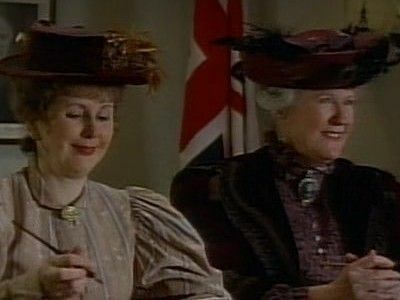 Opinions in the town are mixed; Clara Potts and Olivia take up the case for modernization but Hetty is firmly against it. Meanwhile, Sarah convinces her trust fund (by impersonating Hetty over the telephone) to buy an Edison motion picture camera and send it to Jasper Dale, under the impression that he is to do experiments in frame rate with it for the Edison company. 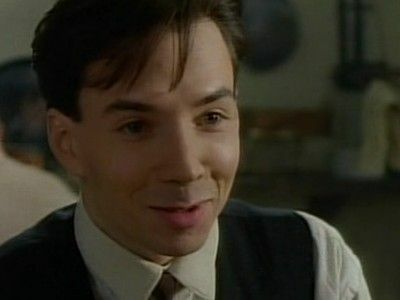 Eventually, Hetty decides to use footage Jasper filmed with his camera to show a visual record of Avonlea, as part of an emotional appeal against the radical rebuilding of the town.